When we got engaged, there were two things I absolutely didn't want to do: take engagement photos and send Save the Dates. In my opinion, these were just extra things that cost a lot more money that I would rather save. 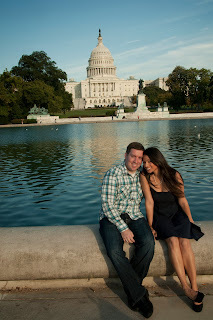 When we decided to get married in DC and set our date over a year out though, I realized that we would need to let everyone know when the big day was so that our friends and family traveling from far off places (Hawaii, North Dakota, California...) could plan accordingly. The Pilot wanted to send magnets. So, I reached out to my sister who is incredibly creative with things like this and she started working on some designs. 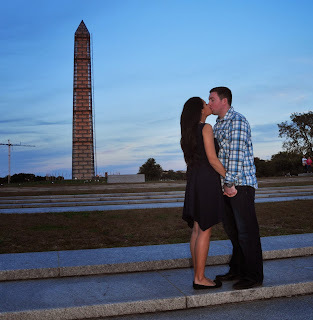 While we aren't having a DC themed wedding, we wanted our Save the Dates to be all about DC since about 90% of our guests have never been here. 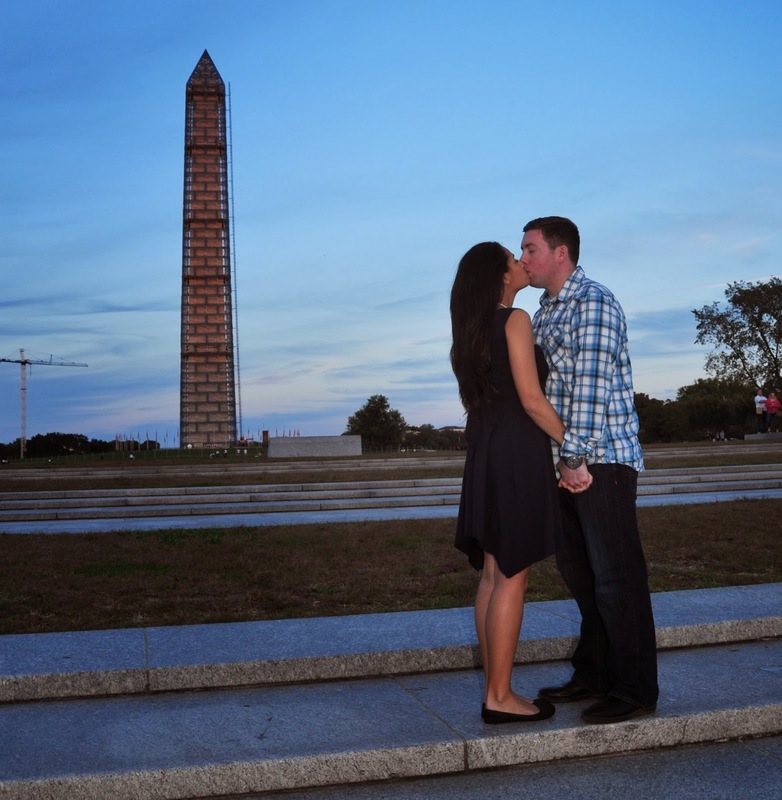 My idea was to take one of our many, many pictures of us here in DC and stick it on a magnet. We decided to use Vistaprint to do all of the printing to keep the costs minimal. Once we finalized the design, my sister converted them to the necessary format, only to get a message that our picture wasn't a high enough quality for mass reproduction. The only solution was to take an engagement photo. We reached out to our friend Kris, one of The Pilot's fraternity brothers, who has a knack for photography and asked him to get a couple of nice photos of us on the Mall so that we could pick one. He offered to do it for free (despite our offerings to buy him alcohol in return) and we headed out to the Mall one Friday afternoon in October to take some pictures. We started at the Capitol. Made our way over across the Mall. 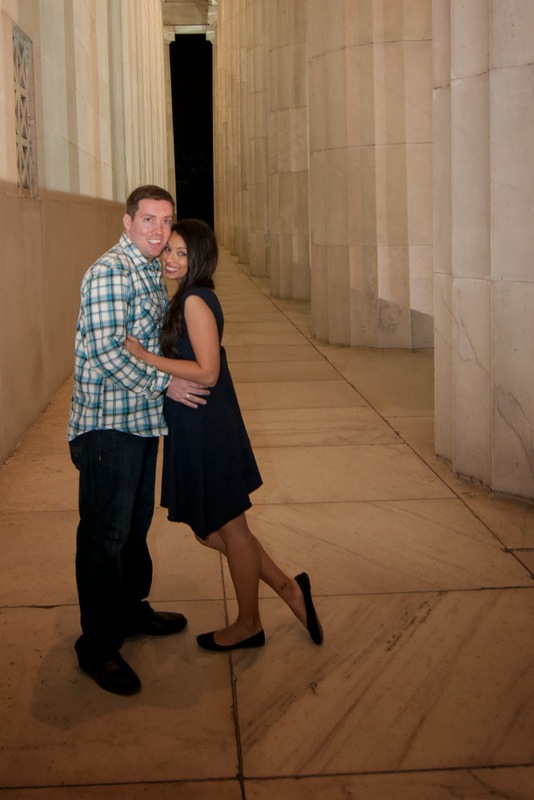 Took a few shots at the World War II Memorial where we got engaged. Finished at the Lincoln Memorial, and called it a day. We were really happy with the way our pictures turned out and when we sent them to Vistaprint, they were running some really great promotions and we ended up getting 100 of them (which was all we needed) for $60. They were in our apartment in less than a week! They came out great and we were so happy with them! The envelopes came free with Vistaprint and I downloaded a pretty font and made labels. 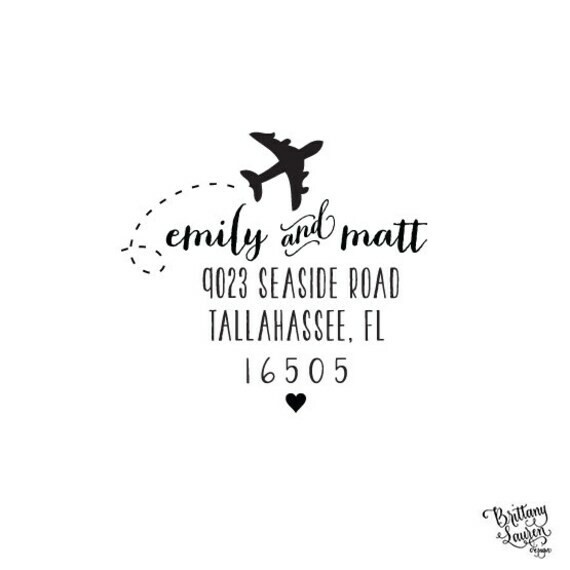 I ordered this return address label from Etsy and was really happy with the way it came out! While I didn't want to bother with Save the Dates or Engagement Photos, I'm really happy that we did both, especially since it didn't set us back at all! Sure, it was a bit more work to do them ourselves, but saving the money made it well worth it! 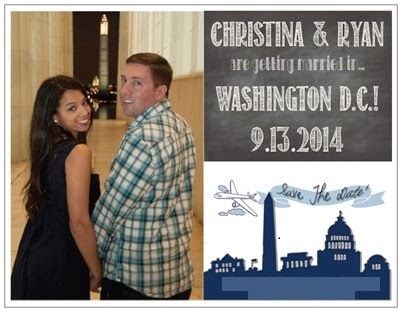 So, our Save the Dates have been sent and wedding planning is on hiatus until after Christmas! Gorgeous pictures!! And I love your save the date! A little bit of extra work can save a TON of money! That is a GREAT save the date. Love it!! And I like the return label, too! Ahh! It's just adorable! 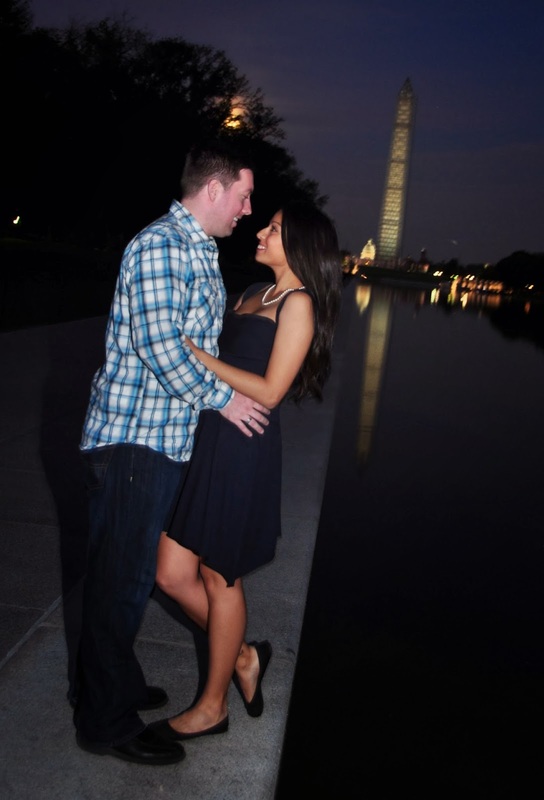 I LOVE all of the DC pics! LOVE the pictures and the save the date card!!! We also used vistaprint for view items and they did an amazing job for a really good price!! Plus they are really fast! All the pictures were nice. It must have been hard to choose. Save the dates are a must when you have out of state family. As for the engagement photos, I didn't want to do them either, but then Spike pointed out that they are pics of "us as us" instead of "us getting married" so we went and had fun with it. I'm so glad we did and I'm glad you did too! So cute! I was actually way more excited about my engagement photos than I was about my wedding photos (and still am! haha). I guess I feel like all wedding photos are the same (I mean, I know there are lots of "edgy" photographers out there now, but still - women in white dresses, lots of tuxes and some cake-cutting), but engagement photos are a great way to show off a couple's personality. 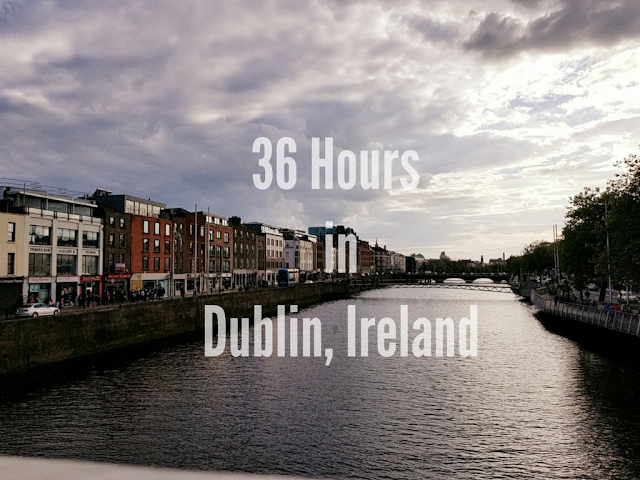 We took ours at a winery and it was a blast! I'm glad you had fun with yours, too, and they turned out wonderfully!